The development of titles has been very successful on the PC equipment and extend it to the mobile platform is a logical step to reach more gamers from a variety of media. There is a fixed base to create games on other platforms, it’s not hard for EA to regain the emotion of the Sims. 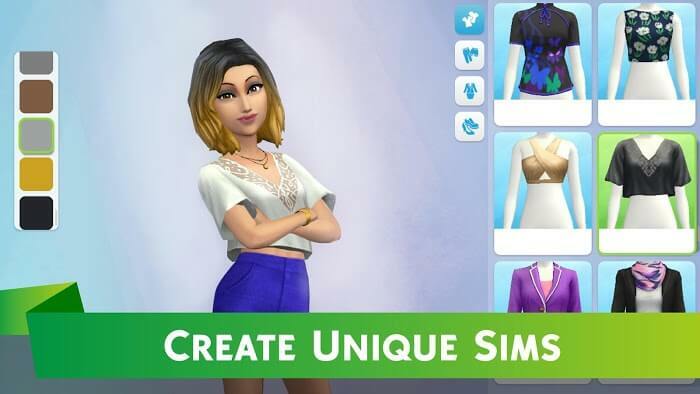 With The Sims Mobile released in mid-2017, EA has once again brought back memories of the PC version of the same name since 2000. 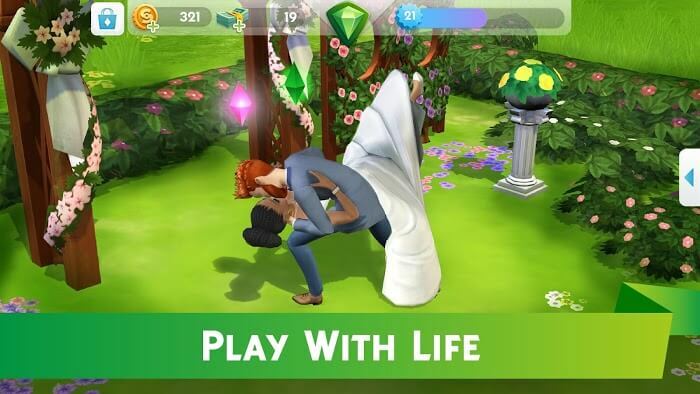 The Sims Mobile was born to re-enact a life normal family. It’s all in your hands, you can do anything you like. The world where you live there are many things you do not see fit, The Sims will help you to love what you want to do as long as you like. With the ability to reproduce the world exactly the way you want it, The Sims Mobile really delivers a true and living experience for gamers. 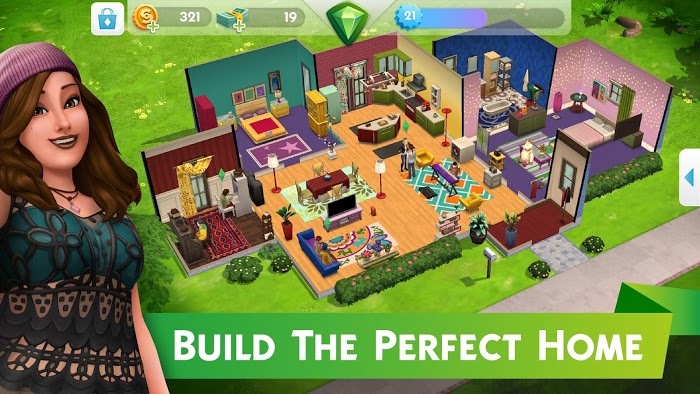 Overall, the Sims gameplay is no different than building homes and cities around you. You will be able to arrange anything you want, as long as they can be changed. The characters in the game the way you control, they will follow. You can also serve the characters, create a hobby or learn something new. If you are a frenzied fan of gatherings, you can also a party, rock in the bar all day. But the main game is still building houses and things, so focus on the installation and construction of buildings. 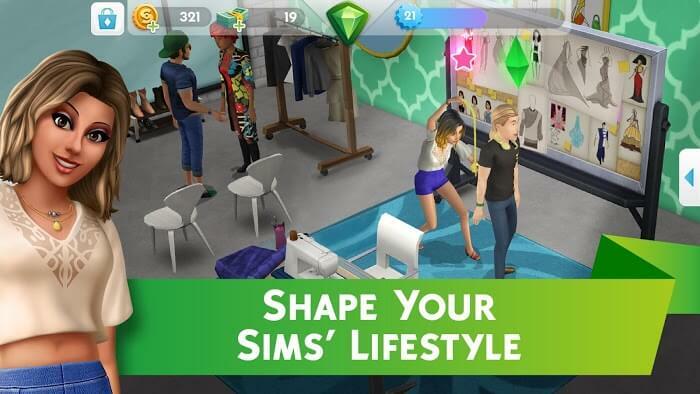 The Sims Mobile worthy of you can also do everyday chores like real life. Not only that, you can enjoy the entertainment and services industry even in the game. Diverse types of work in the game, you can arbitrarily do anything without being limited. If you feel alone, then luckily the game is optimized to be able to support multiple people interacting with each other. You can go visit other friends’ houses and do what you like. That minute will really be fun. The highlight of the game is the authenticity of the game. With 3D design, active viewing angles can be rotated, you can easily control and build everything in the right way. Sound and effects are extremely smooth and thorough. The interface is easy to use, useful, fully featured information to help you experience better games. One thing that makes you feel a bit down is that because the requirements of the mobile platform are not as high as the PC versions, EA has limited the features and graphics that most people can experience by The Sims. But that does not mean that the company completely ignored the mobile, they still focus on it, so what it brings you the most effective. Create unique Sims – You can completely customize your character, from costumes, hairstyles, faces to small details like makeup. Create a lifestyle for Sim – Try to create a perfect story for yourself. Learn a career like a doctor, a teacher. Then open hospitals and schools to help people. Not only that, but you can also learn to sing, dance, play the guitar. Open a party and invite all your friends to attend. 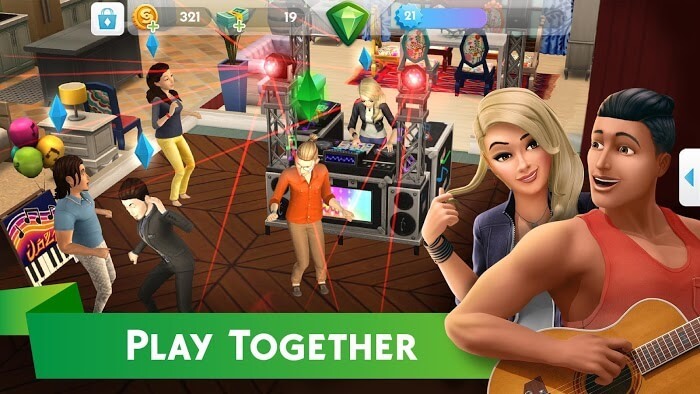 ‘The Sims Mobile’ vs ‘The Sims FreePlay’: What’s The Difference? If you look at it, you can see that these two games are incredibly similar. However, you need to know that The Sims Mobile is the complete version developed by Maxis and EA. It can be said The Sims Mobile is a combined version of The Sims 4 on PC and Freeplay on mobile devices. Some things are also renewed and added, like creating and customizing a Sim in more detail, building houses and playing online with friends. This is a good quality simulation game, easy to play, is worth a try. The Sims Mobile will be the virtual world for you to customize your real world. Take advantage and experience. Note: Once you use the mod link your account to Facebook account…. your cash and simolions will be saved even if you use the Play Store version .. this way you don’t have to wait till mod is Updated you can just use the new Play Store version .. the only time that you may need to use the mod is .. if you are new to the game .. or you ran out of cash or simolions.